Trained and qualified professionals offering older people extra help with small practical jobs making their lives easier and safer around the home. 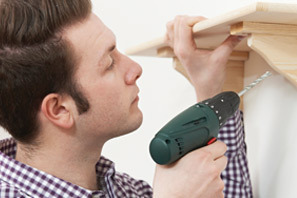 We can usually turn our hand to most small practical jobs that need attending to around the home, inside or out. Any job you need help with, just ask. Our Maintenance at Home service is easy to arrange. Call or email and let us know how we can help. If we can, we will inform you of costs and when a suitably qualified maintenance person can carry out the work. More often we will arrange a free of charge call out to assess the work required and provide you with a written quotation.